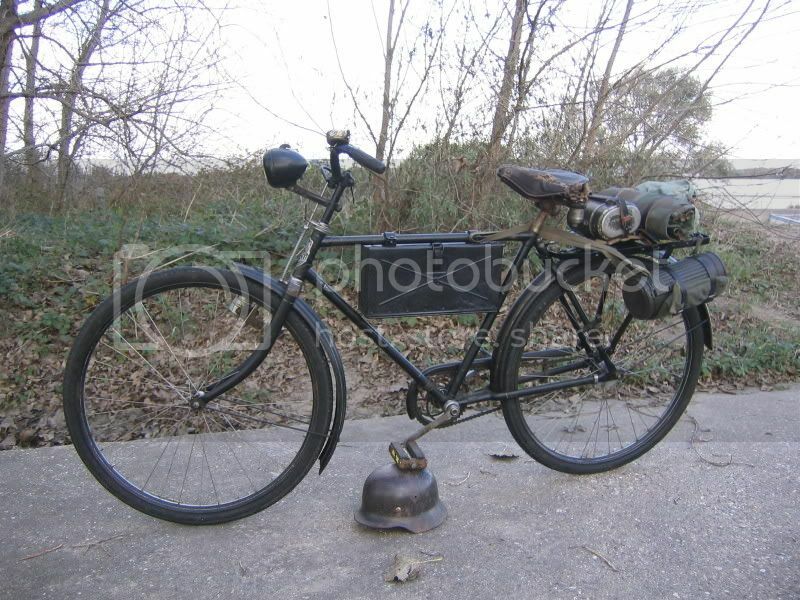 All you guys out there that have a Truppenfahrrad. How about sharing? here's my bike with some stuff on it, it is an NSU bike. George, does your bycicle still has its original color? Did you restore it in any way? I'll post pictures of mine asap. hallo Jan , my bicycle still has its original color wich is semi-flat black. Thanks George, I must say it is in very good condition! If I remember correctly, forum member Mr. Poole has one as well. Maybe he will post his. Find More Posts by Ken B. What year is the NSU bicycle please? Im still looking for the rack i mentioned paul, i have three originals but there not for sale at the moment! Originally Posted by Ken B.
here are a few pics as its currently displayed.